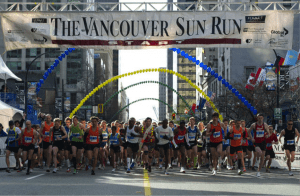 Join Spectrum’s Sun Run Team: “Spectrum Runners and Rollers”! It’s a Spectrum Tradition! 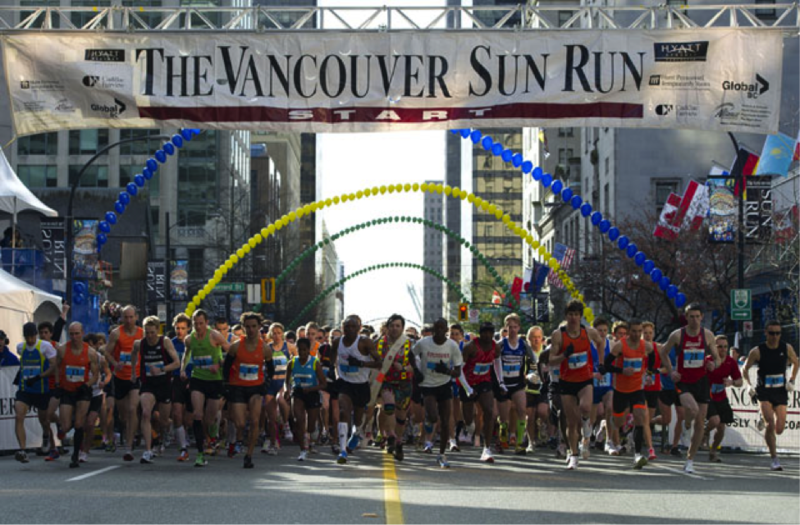 We are excited to announce this year’s Vancouver Sun Run will take place on Sunday, April 15, 2012 at 9:00 am. Your fee includes a souvenir T-shirt featuring artwork by Tiko Kerr, a participant bib and timing chip for your shoe. To take advantage of these discounted rates please complete the attached registration form and forward to Judy Wong at the Spectrum office along with your share of the registration fee in cash or by cheque, payable to Spectrum Society prior to March 18th.